Achieve your half marathon goal this year by participating in the Bristol half marathon on behalf of African Initiatives! 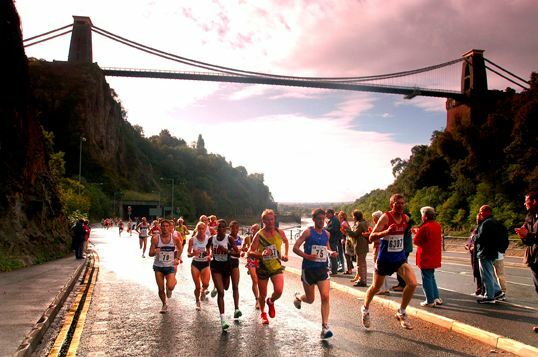 Starting in four waves from 9:30am on Sunday 15th September, the course will take you under the Clifton Suspension Bridge with beautiful views along the River Avon and Harbourside before finishing the city centre. For further information on the event details, visit the Great Run website. The entry fee is £40, to enter you will need to register with the Great Run who will send your entry pack and record your finishing time. As one of our runners, we will help you set up a fundraising page and you will be supported through the fundraising process. To register, click here. Once you have done this, please notify Holly Burchett our Fundraising and Communications Officer on 0117 915 0001 or email hollyb@african-initiatives.org.uk. Holly provide you with a detailed fundraising pack, a branded running vest, as well as training tips and encouragement as you prepare for the run this September.